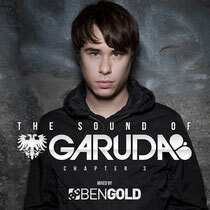 "I felt honoured when Garuda approached me to mix the 3rd chapter in "The Sound Of Garuda" series," Ben Gold said. "Being the next ambassador of this compilation after Gareth Emery makes me really proud! "This 2-mix compilation reflects some of my current set highlights, some classics, and some very hot unreleased stuff. I'm excited to present the unreleased tracks from Gareth and Craig Connelly, the hot new remixes of 'Where Life Takes Us' and 'Fall With Me,' and of course my next single, 'Amplified.'"